Taking an idea from a concept to a real, marketable product takes time, effort, money and requires access to the various different types of professionals that will work with you along the process. You may decide to license your invention, or you may decide to start a business to manufacture your product. In either case, eventually you will need to market your invention, and that is where a lot of inventors require help and assistance. If you decide to go the licensing route, it can be very challenging to get the attention of the various companies that may be interested in licensing your invention or product. Regardless of how you decide to proceed, understanding how to market your invention is an important part of the invention process. 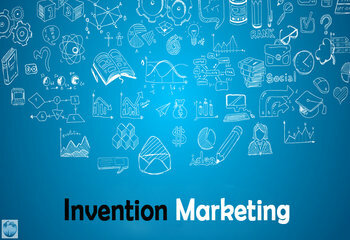 Invention marketing refers to the process of marketing your invention idea or product to potential manufacturers or distributors. You can, of course, do all the legwork on you own or you may choose work with us. As a patent assistance company, we have established relationships with the nation’s top professionals that will work with you with marketing your invention. Not only will this save you frustration, but it can also potentially save you time, effort and even money! Over the years, we have established relationships with the various professionals and organizations that work with inventors to help them market their inventions. And, with these relationships, we bring into play serious purchasing power that has allowed us to negotiate attractive discounted rates for professional services. We are happy to pass these savings on to you. Also, once you have established patent protection, you can work with one of our professional licensing affiliates who work on 100% contingency fee basis. These professionals will assist you with invention licensing and invention marketing directly to manufacturers. Contact us on 888-344-6836 or submit your idea for review via our confidential line system. We will help you understand what is involved in invention licensing and invention marketing. At Patent Services, our goal is to help you license and market your product idea or invention for the best possible results and compensation options.